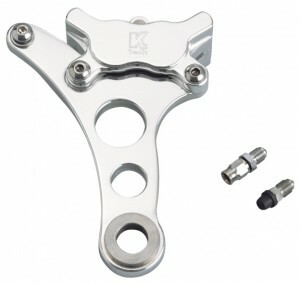 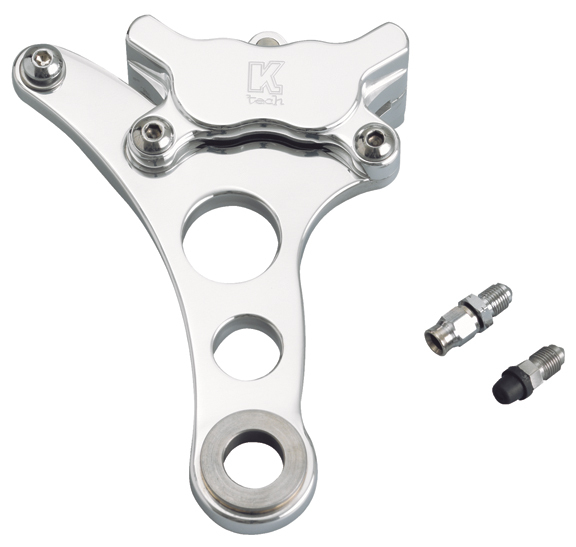 These 4 piston Super Smooth Motorcycle Brake Calipers for Harley Springer type forks come with a beautifully machined billet aluminum mounting bracket. 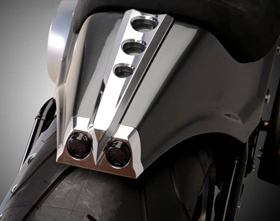 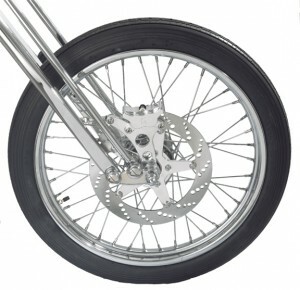 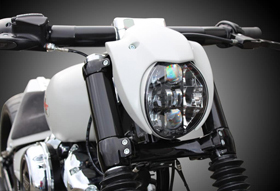 These custom brakes are direct bolt-on replacements for your stock Harley brake caliper. 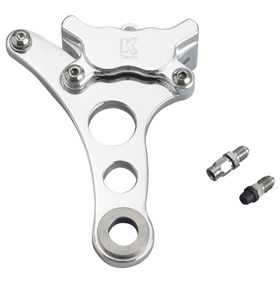 These are the smallest 4 piston motorcycle brake calipers available on the market and are a perfect match to our Sprocket Rotor Kits. 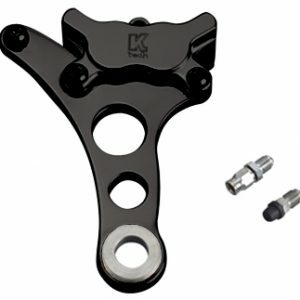 Caliper bracket is designed for mounting in conjunction of 11-1/2″ brake rotors and 3/4″ wheel axles.